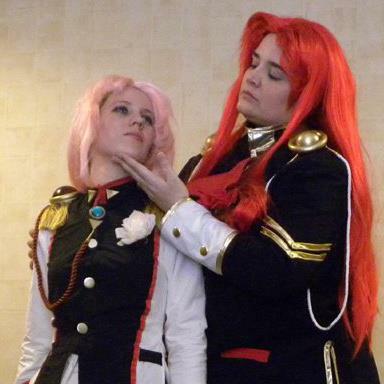 Patti & Stephanie (aka Seiya & Yaten) are two Colorado cosplayers with more than 10 years cosplay experience each under their belts’. They have a crafting business called Starlit Creations where they share their love of creating things of a crafty and shiny variety. In their copious spare time, they run Last Chance Myu, a Sera Myu performance troupe. The group has performed at anime conventions all over the US since 2006.